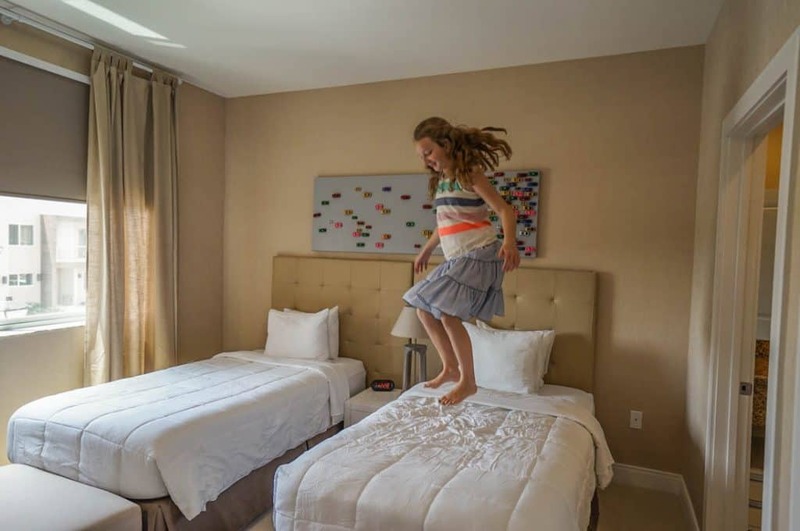 Magic Village Resort is a newer Disney area villa option for the discriminating traveler, designed as a sophisticated option to convene, cook, and slumber. Magic Village is located just over a mile from Animal Kingdom Lodge. Extended family vacations are Disney World’s specialty. I see the families pass by sporting a dozen t-shirts in the same royal blue, adorned with a Mickey Mouse silhouette and with a family message, “The Lees, WDW 12/17”. Although I have yet to order group T-shirts for a Disney trip, I was thrilled to grab some more family this year and watch young cousins make lasting memories in the parks. There’s room for the whole gang in these villas. For once, I didn’t want to book a hotel room. 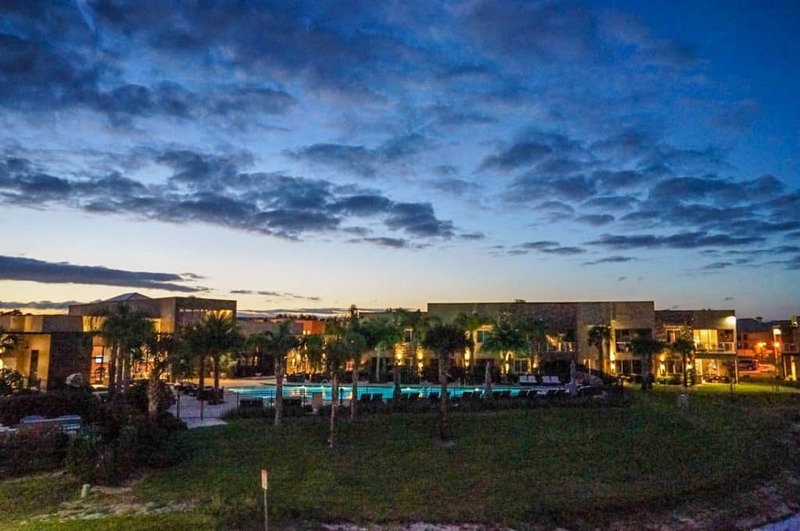 I wanted to try the best condos near Disney World that still felt like a luxury hotel. You can’t replace those sacred minutes on a family vacation when the mothers slowly stir and drink their first cup of coffee together while everyone still sleeps, or when everyone returns to sit around a sofa and recount the highlights of a fun day together. I knew just the place where I wanted to try. The new Magic Village Resort. I certainly don’t recommend always staying on Disney property. When traveling with more than four people, staying at Disney resorts gets very expensive, and not worth the cost. 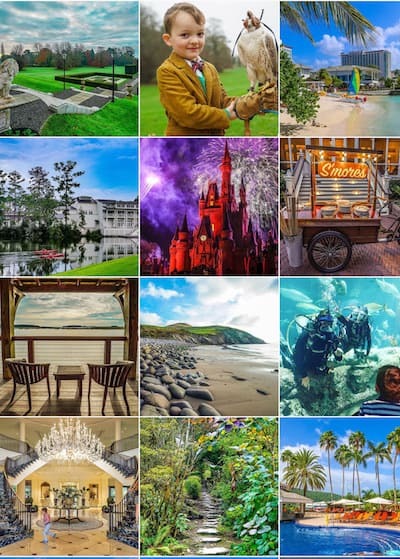 AND WE WILL ANSWER YOUR QUESTIONS ABOUT PLANNING YOUR NEXT ORLANDO VACATION. 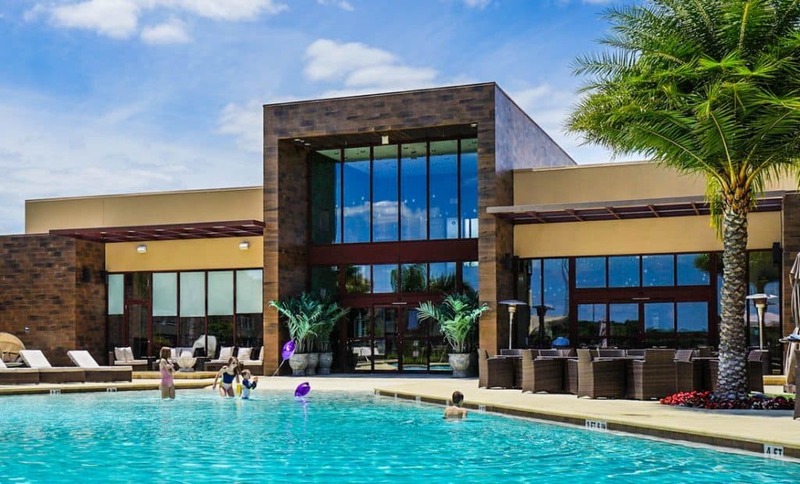 Magic Village was designed to provide a luxury haven for the Brazilian market who love Disney World and Orlando as much as we do at Luxe Recess! It’s said that Brazilian visitors come to Orlando for two things: the theme parks and shopping. 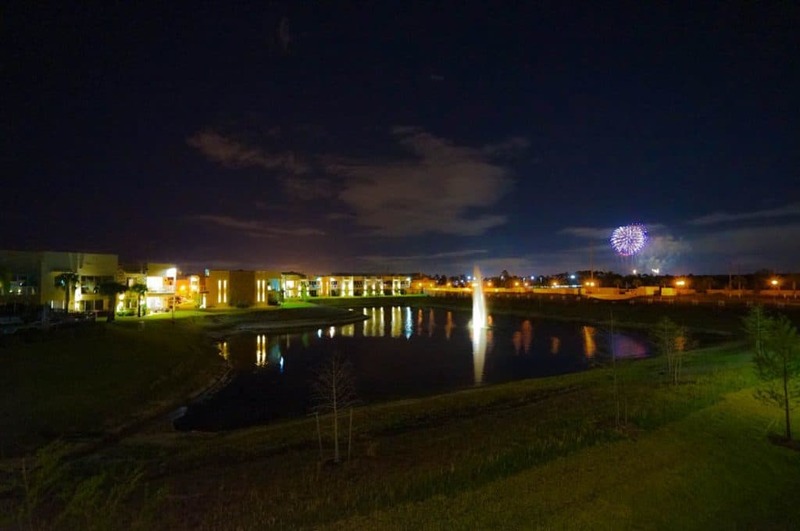 Magic Village is one of the Kissimmee resorts that is just a stone’s throw from Animal Kingdom. Seriously, it is closer to Animal Kingdom than every other Disney park, and it is connected to the Disney World resort by a great back road that doesn’t get a lot of traffic. 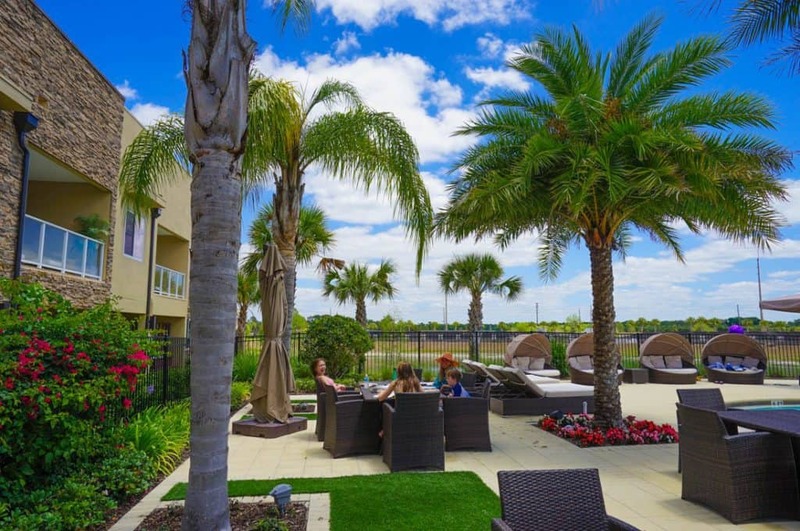 The majority of the most popular Kissimmee vacation rentals cluster around the highway with a mega-sized Target and to Publix grocery stores within easy reach. High style and design are refreshing at Magic Village. But the really good area shopping at the Orlando Vineland Premium Outlets is fifteen minutes away. Compared to your average outlet center, this location offers several high-end designer boutiques like Diane Von Furstenberg, Carolina Herrera, Bottega Veneta, Tod’s, and Vilebrequin amidst the Gap, J. Crew, and Banana Republic outlet stores one can find anywhere. 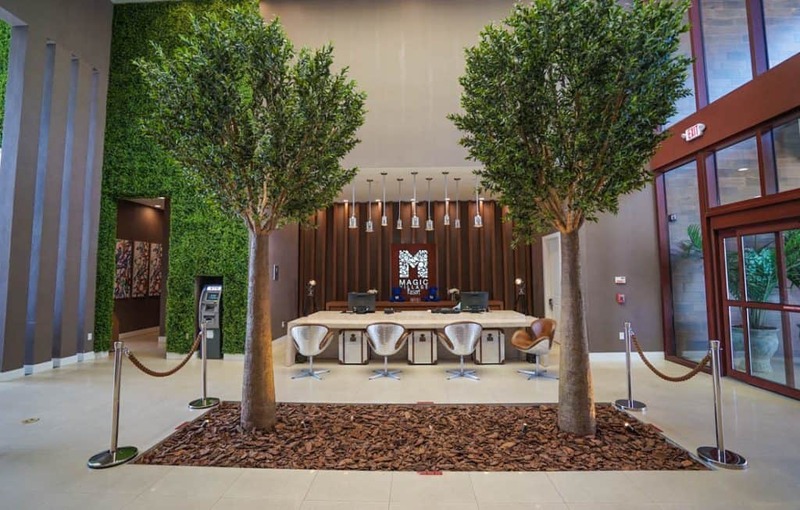 Once Magic Village became part of Preferred Hotels’ exclusive residence collection, American visitors have discovered it’s appeal, though I’d still call it a hidden gem. 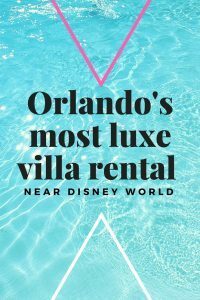 The vacation rentals Orlando offers are rarely suited for the luxury traveler who is used to quality bedding and high-end furniture. 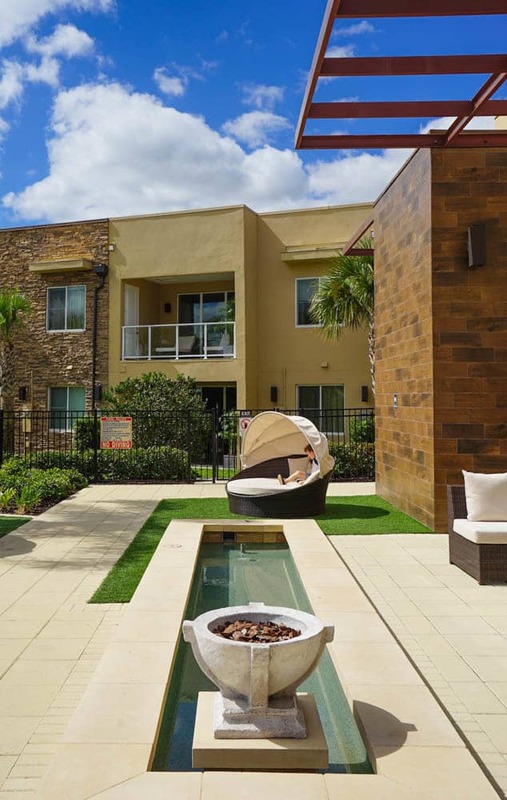 Who can call those four bedroom villas in Orlando with ugly furnishings luxurious? I confess when I see burgundy satin polyester bedspreads make a glare with the camera flash on the rental photos, I hit my browser back button immediately. You can’t really clean those, and you probably really need to. Neat freaks will always choose white hotel bedding. It keeps it honest. Magic Villas are well appointed like a five-star property with on site concierge services. Because Magic Village was first marketed to luxury travelers from Brazil, it is a hot spot for Brazilian celebrity sightings. The club house walls showcase of mosaic of photos of who has been here and who owns one of the villas as a vacation property. Every villa contains a twin bedded room for kids with their own bath. 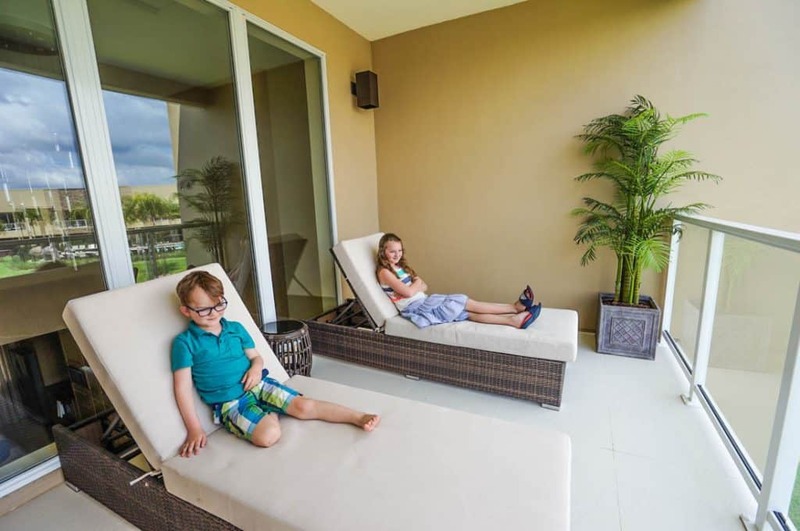 The four-bedroom villas have two twin rooms for kids. This will mean little, however, to most Americans who have no idea who they are. Basically, when your head turns to follow extremely attractive men and women at Magic Village, they’re probably Brazilian TV stars or athletes. 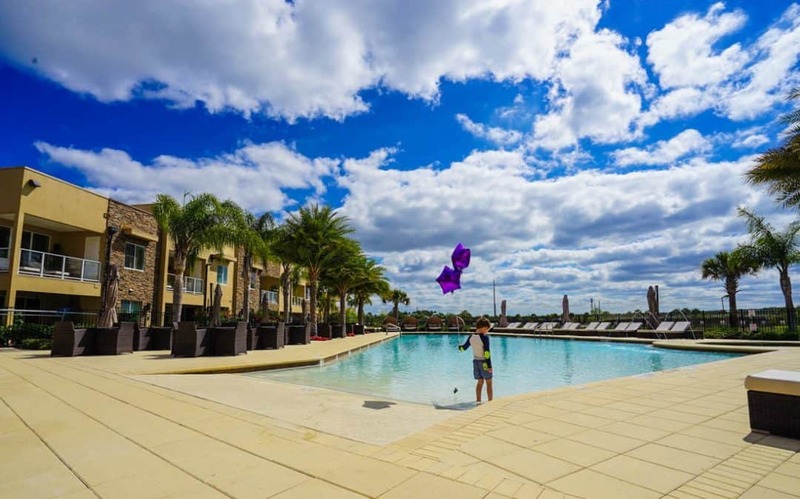 Magic Village is a gated community of three and four bedroom villas that offers some resort amenities, too, which is another reason I prefer resort residences to the vacation homes Orlando advertises. There’s ample, free parking in front of every villa, some with garages, too. The villas are two-story, with an open kitchen, dining, and living room on the first floor as well as a half bath and full laundry room. Storage is everywhere. Linen and broom closets help keep the vacation suitcase bombs to a minimum and help maintain a clean and restful space. The master bedroom has its own outdoor balcony with lounge chairs on the second floor, and my son and I loved watching the Star Wars fireworks from Hollywood Studios on our nights in. Only a few units will have this view, so you’ll have to inform reservations that you want one of these units when you book. If they are unable to reserve a villa with a view of the fireworks, they can be seen from the pool area, too. Some villas also offer hot tubs on their patios. Views of the Star Wars fireworks at Hollywood Studios. The second floor had three bedrooms: a master suite offered a massive walk-in closet and large bath and vanity, and the other two bedrooms had their own bathrooms. One was bedded with twins, and the other a second king room. The four-bedroom units offer a second room with two twin beds. 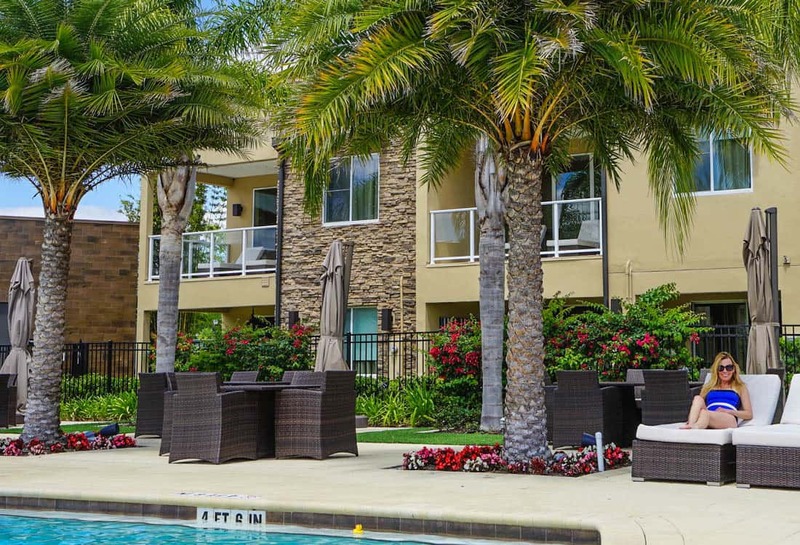 The living room offered a giant screen television and two seating areas, and our patio offered an outdoor living and dining area and large grill. This place was made for families to relax and enjoy cooking and eating together. I like to eat more than cook on vacation, but the kitchens were well appointed, and Magic Village had filled our refrigerator with waters, fruit, and a bottle wine to start the first cocktail hour. The outdoor lounge and dining area was complete with a full sized grill for some serious entertaining. 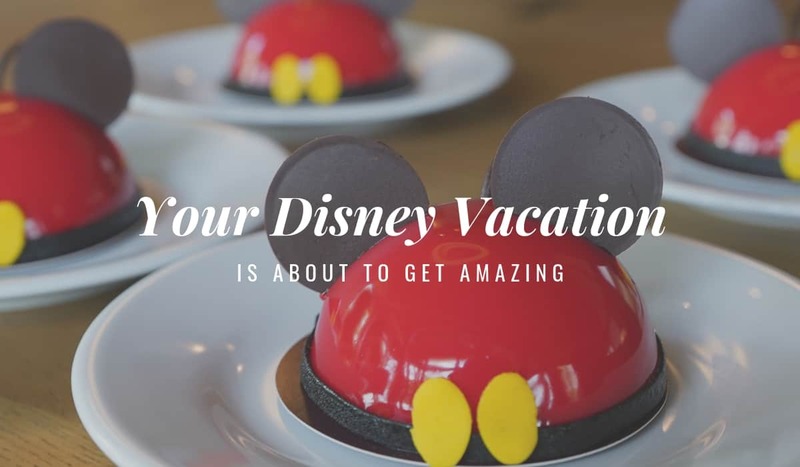 We visited some new Disney Springs restaurants and food stands before checking in and grabbed a sampling of mini cakes from Amorette’s Patisserie to enjoy that afternoon at our villa. We grabbed a foursome of Confetti, Red Velvet, Vanilla, and Chocolate from Sprinkles Cupcakes, and an assortment of vegan, gluten free donuts from Erin MacKenna’s Bakery to enjoy throughout our stay. Erin McKenna’s baked goods are my favorite because they are allergen free (gluten free and vegan) as well as free of refined sugars. It is the best way to have a near guilt-free experience while eating donuts. Drinking coffee and sampling a donut on our patio was wonderful. What’s coffee without donuts? I stopped at Joffrey’s Tea Trader Café and bought the full roast served at Five-Diamond Victoria & Albert to elevate the paper filter coffee experience. It worked very well. Sprinkles was a hit with my kids, though I am harder to please about cupcakes. Nothing special unless your area lacks a good cupcake bakery. Amorettte’s Patisserie is a really welcome addition to Disney Springs. We sampled their stunning looking mini cakes. The one that matched in flavor to its appearance was the Mickey dome cake coated in red with chocolate ears and tail. Inside were several layers of chocolate, and every family member claimed it was the best treat we had tried. Because of the Brazilian roots of Magic Village, Villaggio— its restaurant— serves Italian-Brazilian comfort cuisine. Villaggio throws in Brazilian favorites like Feijoada, a beef and bean stew, with pasta dishes on Saturday nights. 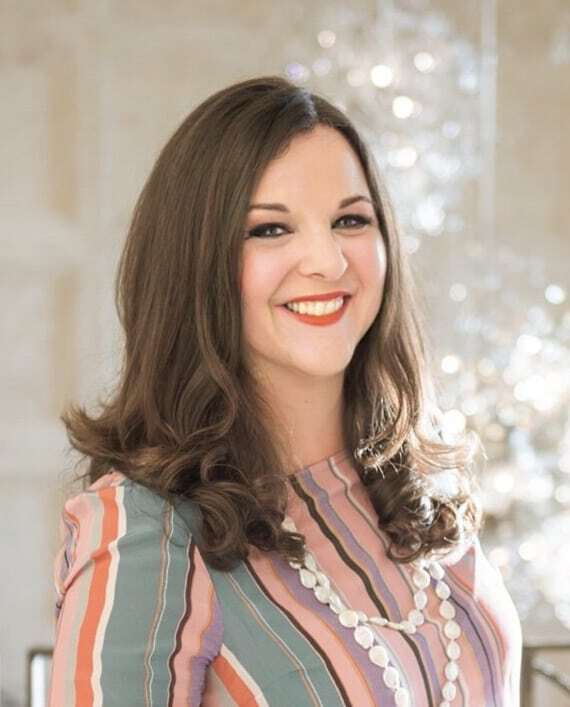 There’s an all-you-can-eat pizza nights on Wednesdays and Sundays serving a Napa wine exclusive to the resort called Magique that scored a 95 from Sommelier Capital Advisors. Check it out and bring your autograph book reserved for Brazilian celebrities. 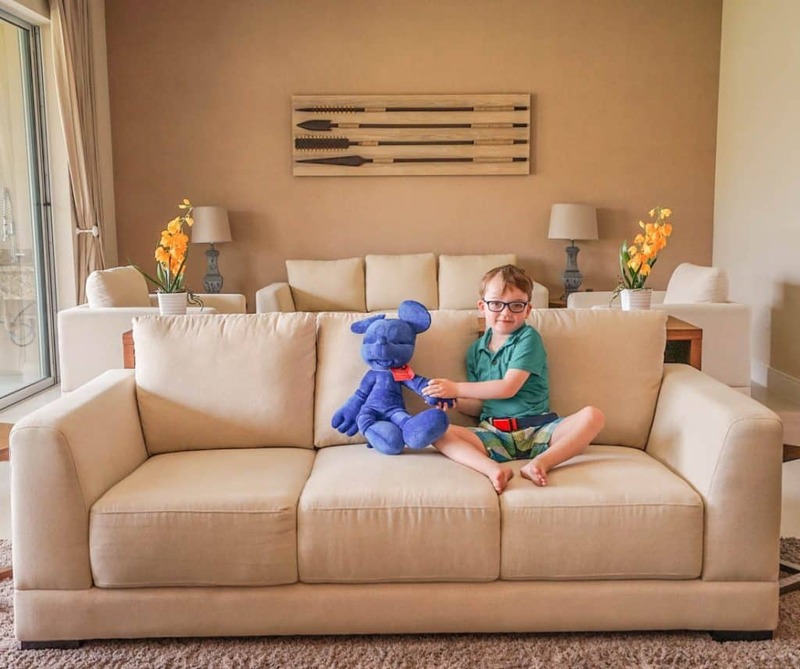 The main club house offers a fitness center and a playroom for children. The toys focus mostly on the preschool crowd, but there is a fuse ball table for families, too. 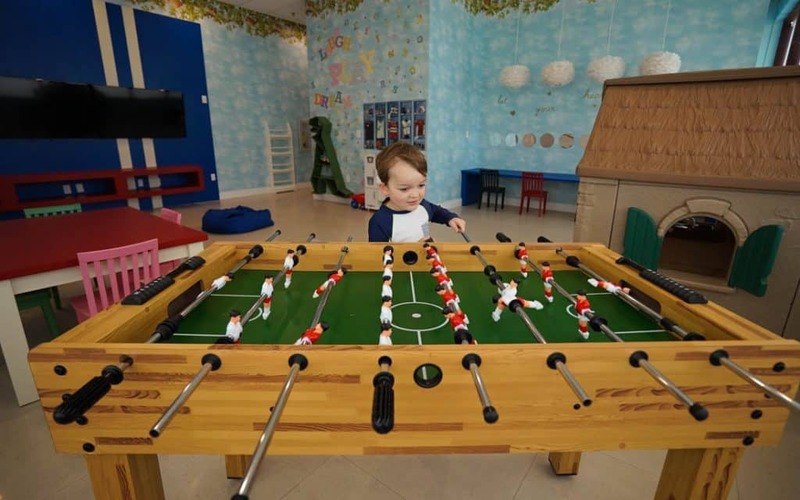 The playroom offers ample toys for preschoolers. The pool is serene and elegant, though straightforward. Even without any water slides, my kids didn’t seem to mind. After hours in the pool, we hit a button the staff person had given us to order poolside lunch. 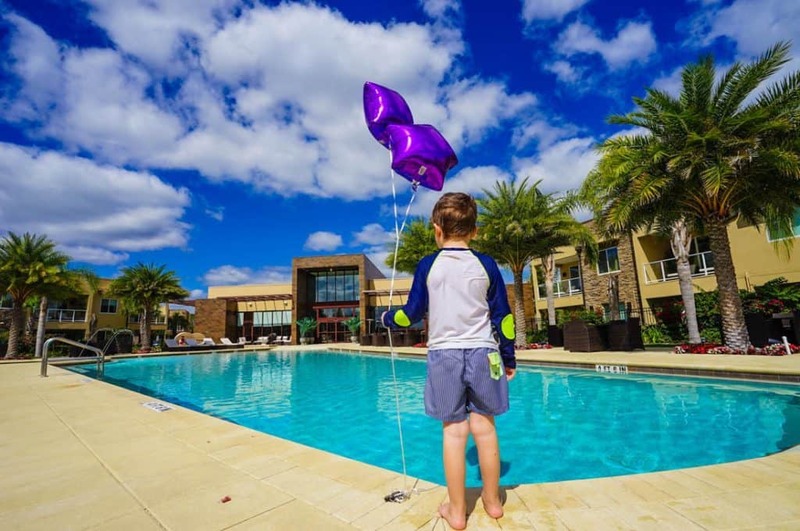 Poolside service, a parent’s best friend on a family vacation, runs from 11AM until 6PM. We enjoyed Brazilian influenced pizzas and salads as well as a dessert pizza as a surprise for the kids of huge Nutella and strawberry goodness. The Magic Village Clubhouse has a fitness center and playroom. 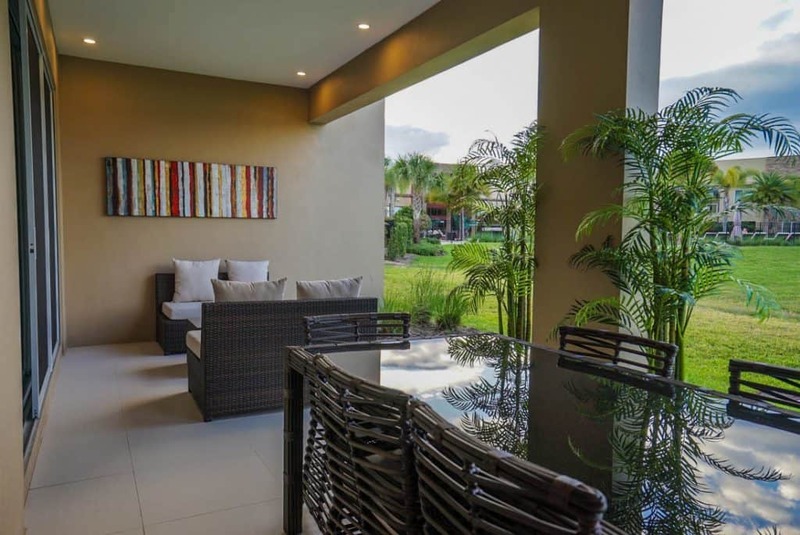 Magic Village Concierge take care of just about any vacation need; they will hire a photographer, a private chef, a babysitter, a driver to the park, or fill your villa with groceries prior to your arrival. I had mentioned it was my niece’s birthday and first visit to Disney World, and the concierge replied that she would be happy to throw some pixie dust in our villa for her. Balloons and a Royal Blue Magic Village Mickey greeted her with the same signature blue cupcake. It was a thoughtful and welcome gesture, and I only wish we had had more time in our villa to enjoy more magic from the concierge. Feeling as special as a Brazillian TV star at Magic Village. This would be a perfect resort to spend the holidays where large groups had beautiful common areas to convene rely on the concierge team to add special touches. Magic Village is constructing a second phase of units that will include another restaurant and tennis courts, so the pool area some construction this in the short term. My kids loved Magic Village. 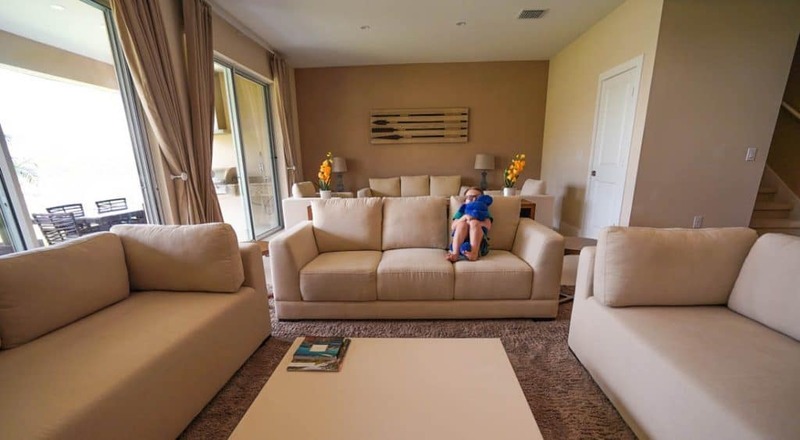 Despite all of our trips to the Orlando area, they loved having so much space to relax, and they saw how relaxed we were because of the villa’s comforts. They loved eating dessert pizza in their swimsuits and still talk about it. I can’t wait to return with an even larger group of friends or cousins. I hear there is a dulce de leche pizza we plan to try. Although we were guests of Magic Village, these opinions are entirely my own. Check your travel dates for rates at Magic Village Resort.